I want you to imagine this scenario. You’ve just had the hair washing of your life! All your products worked well together. Your hair is clean but not squeaky clean and stripped of all moisture. Your deep conditioning was magic and your hair feels hydrated, moisturized and is tangle free. You step out of the shower or raise your head from the sink (whichever is your preference) and dry your hair with a towel. Wait a minute! You look at the towel and see several strands of your hair stuck to the towel instead of on your head! Plus your hair is starting to frizz. (cue the dramatic music). It may not be your hair products, the air or even your hair. It’s probably your towel. Wet hair whether relaxed or natural is weaker and softer than dry hair and needs to be handled with extra care. Unfortunately, towels aren't the most gentle tool you could use on wet hair. Most towels are made of materials that give them grooves. These grooves become hair catchers and can pull out strands or rough up your hair to cause split ends. Also, towels tend to absorb all of the moisture and product you’ve applied to your hair post wash leaving your hair frizzy. 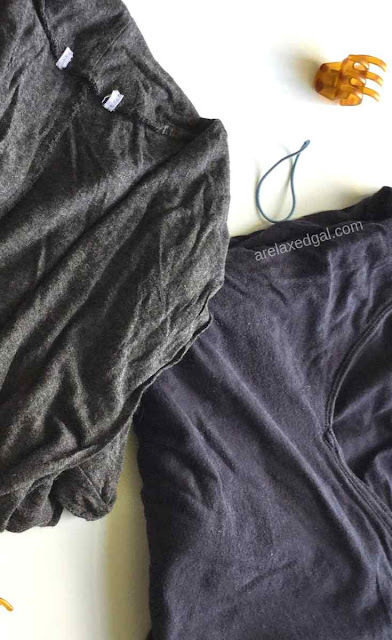 T-shirts, on the other hand, tend to be made of a material that doesn’t have grooves like towels. Instead, they have a smoother, flatter surface. This helps them absorb excess water without removing all of the moisture and product from your hair. 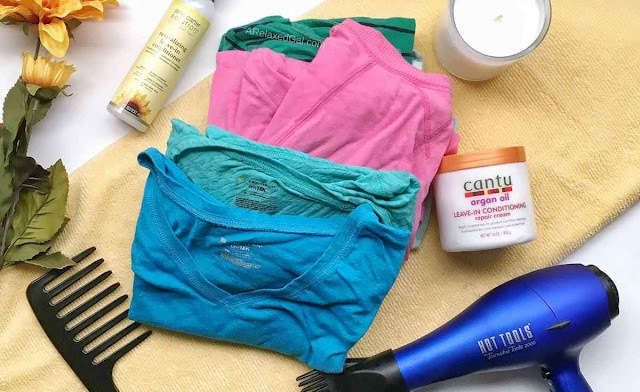 Would you use a t-shirt to dry your hair? I AGREE WITH YOU, AS I USE A SHIRT TO DRY MY HAIR AND ANYTIME I VISIT THE SALON, I GO WITH MY SHIRT. That's a good idea. I hadn't thought about bringing my t-shirt to the salon.